This is Part 3 of week long series highlighting the top New England sports moments in 2011. If you missed Parts 1 and 2, scroll down on the main page. We began our calendar year with high hopes for the top seeded New England Patriots. Unanimous MVP Tom Brady led the most efficient offense in the league and capped off his 2010-11 campaign with a bang at Gillette. Brady tossed two touchdown passes in a 31 point victory leading the Patriots to their 8th straight victory. 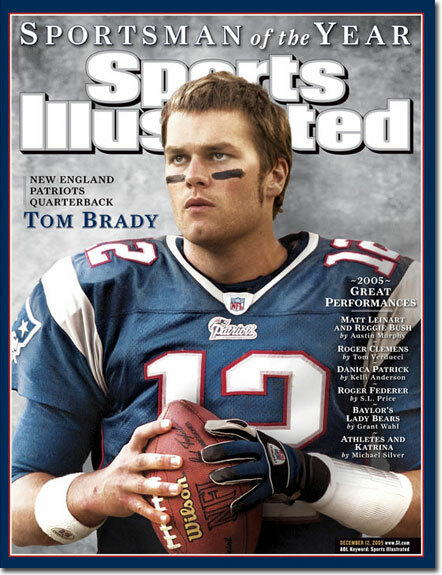 TB12 added more ink to the record book, winning his 28th consecutive start at home, and with the 16 passes he attempted on January 2, 2011, he extended his record to 335 pass attempts without an interception. The final damage for the season: 3,900 yards, 36 TD's to only 4 picks and a 111.0 passer rating. The best rivalry in hockey reconvened in the first round of the 2011 Stanley Cup Playoffs, with the 3rd seeded division champion Bruins facing off against the high powered but inconsistent 6th seeded Canadiens. A back and forth series saw the teams split the first four games of the series- without the home team notching a win. Boston continued to roll with an overtime victory in game 5 thanks to Nathan Horton's game winner. Montreal countered with a 2-1 win scoring twice on 5-3 advantages thanks to undisciplined play from the B's. This set up the best situation sport has to offer: a game 7 between bitter rivals in a hotly contested series. The Bruins came out firing with goals from Johnny Boychuk and Mark Recchi early. Montreal answered with shorthanded and power play goals to knot the game up at two going into the third. Chris Kelly banged home a rebound past Carey Price to give what seemed to be the deciding goal midway through the period. With less than two minutes to go and 18,000 fans at the Garden standing in anticipation, the Habs drew a penalty on the most unlikely of sources; Patrice Bergeron. The two way forward had long been one of the most disciplined and clutch players in the organization, making it seem as if once again the hockey Gods would kill a Bruins Cup run early. Those thoughts only grew as PK Subban hit an absolute missile past Tim Thomas on the power play to send the game into OT once again. Six minutes into the sudden death fourth period, Horton struck again, taking the pass from Milan Lucic and blasting a one timer through traffic to beat Price. This was as intense of a hockey game as I've ever watched from a fan's perspective. With so much on the line and the thought of bowing out in game 7 to an inferior Montreal team becoming more and more present as the game went on, this was the type of game that can turn the average hockey fan into a lifer. BONUS FOOTAGE: This win sent NESN play-by-play man Jack Edwards into euphoria, resulting in one of the true youtube gems of 2011. Coming Tomorrow: Storrs makes its mark on our countdown.